App Based Training gives you FREEDOM! 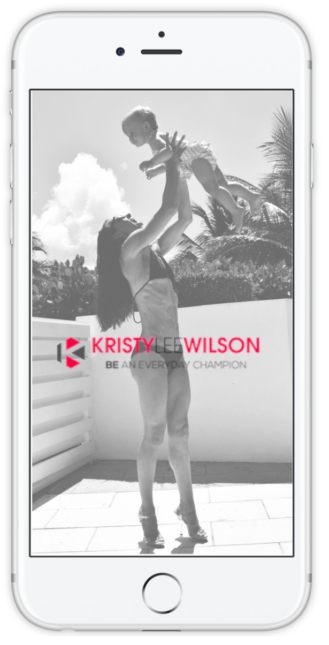 Customized Personal Training Programs through my Kristy Lee Wilson Fitness App provide much more targeted results and are proving to be an extremely popular option for busy professional women and moms wanting the guidance, support and ACCOUNTABILITY of a Personal Trainer, but who also live very hectic lifestyles. You are not required to meet a trainer at the gym at a scheduled time each week. Perhaps you don’t even like going to the gym. Maybe you’d prefer to workout in the comfort of your own home. Or perhaps you are a traveling executive. Perfect! 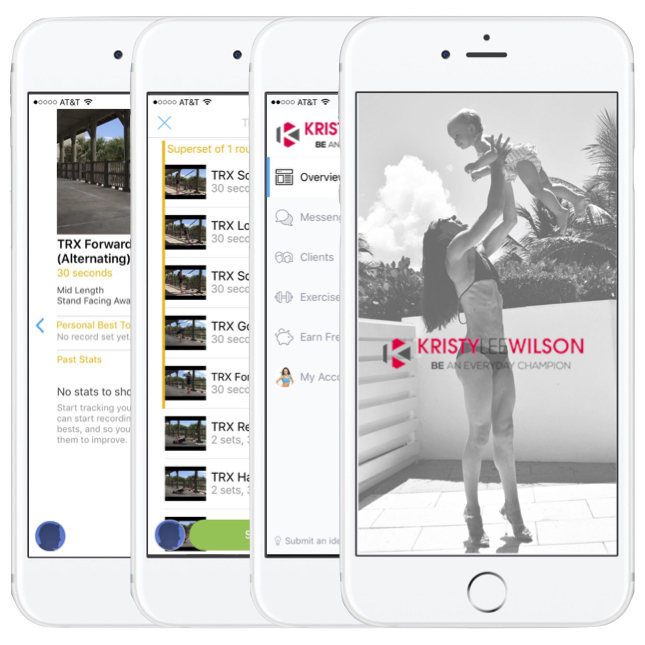 I will design a program for you, based on your goals, wants, and needs that you can access and do from your phone, iPad, or laptop at a time and place that suits YOU! Unlike other Online Training and App Based fitness programs, I will personally be there every step of the way to hold you accountable through daily and weekly check-ins to ensure you reach your goals. You will never be palmed off to an admin or support team member. When you sign up for one of my programs, you have direct access to ME! Different bodies have different needs and I have proven programs that will not only help you achieve your goals, but also accelerate your results. Whether you goal is to shed stubborn fat, stay fit during your pregnancy, get back in shape and fall in love with your new post baby body, get lean, look better, or just feel great – this is the perfect Fitness App for you! You’ll have access to the support and accountability you’ve been missing in your fitness journey this far. It’s time to stop procrastinating about your life and it’s time to BE an Everyday Champion! Jump into the drivers seat of your own life and take control of your health and fitness by inquiring about my App based Training TODAY!! This customized program is suitable for most ages and abilities and is created specifically for you and your unique goals! I provide you the complete program and guide you step-by-step through the entire period. This program includes Nutrition Guidance, a Cardio Schedule, Strength Training Plan, Email Support and Weekly Email Consultations. My Monthly Membership Program will give you access to a variety of quick and effective home workouts, for all fitness levels, that are updated WEEKLY – including Strength Training, HIIT, Cardio, Core Conditioning, Pilates and Yoga based workouts. You’ll also have access to our Private Everyday Champions Facebook Community where you will find weekly challenges, nutrition tips, healthy recipes, support, ACCOUNTABILITY and much more. This monthly TRX based program includes highly effective total body workouts that you can do anywhere … at home, on vacation, or in the gym. These workouts will improve your mobility and help you build strength and increase your ability to perform better at whatever you do in life. You will receive (2) Customized TRX workouts each week, with a mobility/flexibility workout as bonus. You’ll also have access to our Private Everyday Champions Facebook Community where you will find weekly challenges, nutrition tips, healthy recipes, support, ACCOUNTABILITY and much more.